Following hard on the heels of 2012's 'Steelhammer' which introduced us to new Russian guitarist Andrey Smirnov who played all of the guitars, and a world tour where they added second guitarist Kasperi Heikkinen (Amberian Dawn), we now have the fifteenth and latest pounding Heavy Metal studio release from U.D.O. It's difficult to call them Teutonic Terrorizers because only Udo Dirkscheider and bass player Fitty Weinhold are German these days. It's very much an International set-up with Russian Smirnov, Finn Heikkinen and Italian drummer Francesco Jovino (although Jovino has since left for personal reasons before its official release). What I find with this album is an awful lot of anger and general disgust with society and the world that is evident in Dirkschneider's and Weinhold's lyrics. Coupled with the break-up of Dirkschneider's twenty-six year marriage, it's no wonder there's little light amongst the dark on this album. Suitably heavy, dark and visceral, none more so than the title track 'Decadent' with its crunching incessant riffing and squealing Metal solos that has a disturbing and thought provoking video to accompany the lyrics of disgust at individuals excesses and irrelevance towards others – "is that a child I see, arms outstretched to me, what do I care if it dies, it means nothing to me". 'House Of Fake' with its strong riffing and blazing twin solos offers their disdain at corrupt Governments, the mid-tempo 'Pain' with its railing against the society –"I give my finger to the system, I give my finger to it all, I don't care about the reason, I don't want it anymore" – and the ballad 'Secrets In Paradise' which talks about his ex-wife (and incidentally has an exquisite solo) all have a dark undercurrent. There are, of course, typical U.D.O. fodder in the likes of 'Meaning Of Life', 'Breathless' and opening number 'Speeder' that are all mid-tempo, heavy and aggressive with wonderful melodic solos from both Smirnov and Heikkinen to add colour to the Metallised brutality. Weinhold and Jovino are tremendous musicians that nail the solid rhythms and deliver all the required heavy blasts and bombast, never more so than on the excellent head-banging anthem 'Untouchable'. 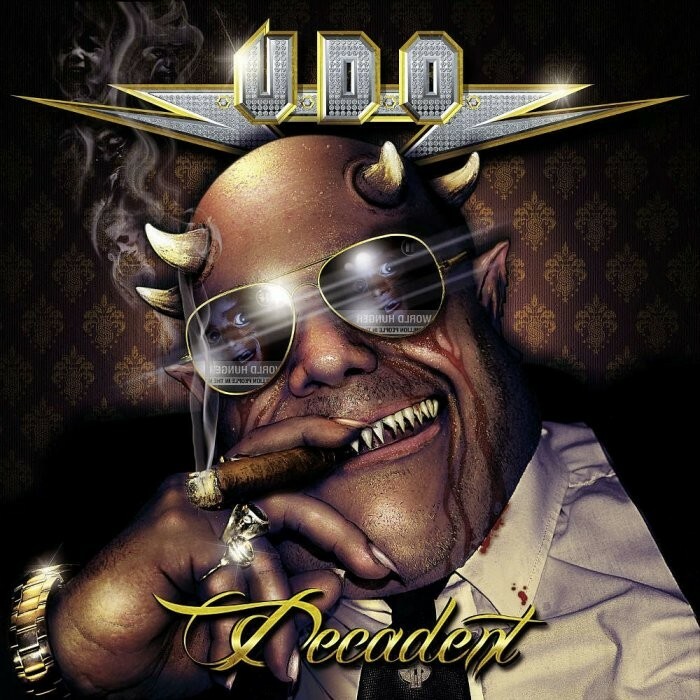 The Speed Metal power of 'Under Your Skin' also offers another terrific example of what U.D.O. can deliver to Metal fans in 2015 and 'Mystery' is another dark song with brutal lyrics from Dirkschneider's psyche delivered in an almost menacing, snarling Dave Mustaine kind of fashion. The riff heavy, epic anthem 'Words In Flame' with its orchestral overlay takes us out on a stirring melodic guitar tone finish and one is left with a sense that this album ticks all the right boxes for a bona fide Metal fan. For U.D.O. – mission accomplished!